It is a food supplement in vials specially designed to meet the energy and micronutrient requirements of athletes during the workout and competition phase. What are the properties of Fostprint Sport? 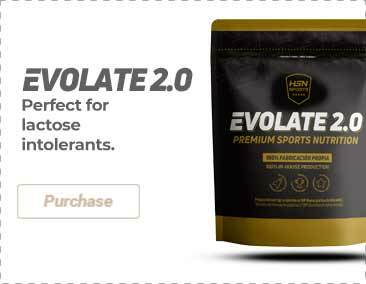 It is a blend with key ingredients to support athletes who want to improve their sport performance. Apart from providing energy with ingredients like glucose, fructose, honey and royal jelly, it helps to meet the vitamin and mineral requirements of Phosphorus, Calcium, Potassium, Chromium, Magnesium, Vitamin C, E, D3, B12 and Pantothenic acid. It also includes amino acids like Arginine, Methionine, Glycine, Ornithine and Glutamine. It also includes Ginseng extract which is an adaptogen that prepares the body to face situations that trigger physical stress by increasing the energy levels. Royal jelly is a nutritious products filled with vitamins, minerals, essential amino acids and phospholipids that increases the natural defenses of the body, providing us with energy and vitality. Propolis is a substance synthesized by bees which is very useful for those who do sports since it reinforces the defenses. Having a strong immune system is indispensable to achieve the best performance in each workout. Who can benefit from Fostprint Sport? All kinds of athletes who need an energy supply before training or a competition. Athletes who want to achieve an optimal recovery after training. L-glutamine, l-ornithine, acetyl d-l methionine, inosine, anti-caking agent (silicon dioxide and sodium croscarmellose). Vial (osmosis water, glucose, glycerine, fructose, arginine hydrochloride, monopotassium phosphate, stabilizers (microcrystalline cellulose and guar gum), calcium gluconate, acidity regulator (citric acid), propolis extract (minimum 160µg of galangin/vial), glycine, dimethylglycine, royal jelly (minimum 2100µg of 10-hydroxydecenoic acid/vial), preservative (potassium sorbate), vitamin C, natural falavoring, ginseng extract (minimum 2100µg of ginsengosides/vial), magnesium carbonate, vitamin d3, vitamin e, chromium trichloride, vitamin b12. Take 1 vial daily, directly or dissolved in a glass of water or fruit juice and drink immediately. Athletes during competition phase can take it according to their needs, 20-30 minutes before and during a competition or a hard workout.